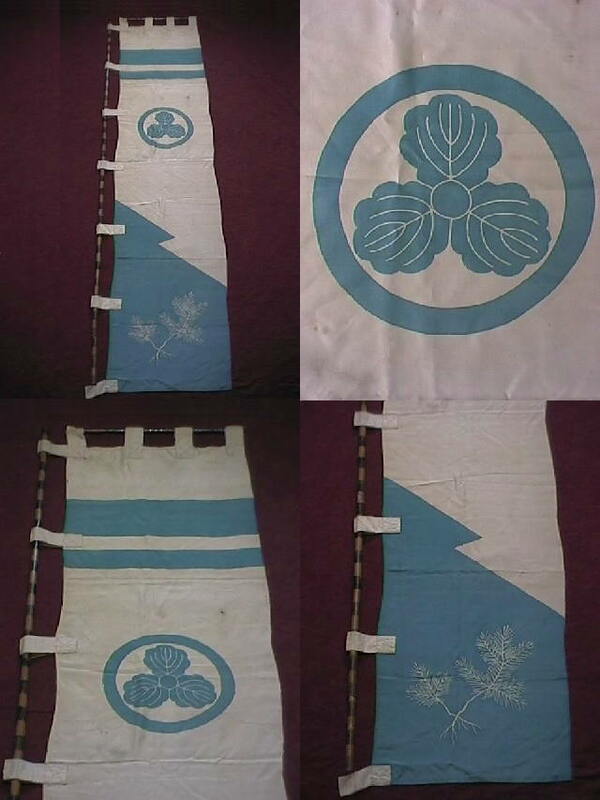 The Edo-era flag was recently for sale oon eBay. The seller provided the following information during the auction. The banner has been made from silk with a traditional Japanese mon crest and other designs printed on with blue dye. The crest itself is that of kashiwa or evergreen oak, and was used by the clan of Makino. The silk was originally white, but has discoloured with natural aging to a cream colour, and the blue sections have faded, to a light sky blue tone.